ESTIMATING HIKE TIME: 4 km an hour when hiking in woods with a light day pack. In addition about 15 minutes for each 100 metres of steep uphill. DID YOU KNOW THAT: Map and cabin details for these 10 suggested hikes and others are on UT.no and UT App. 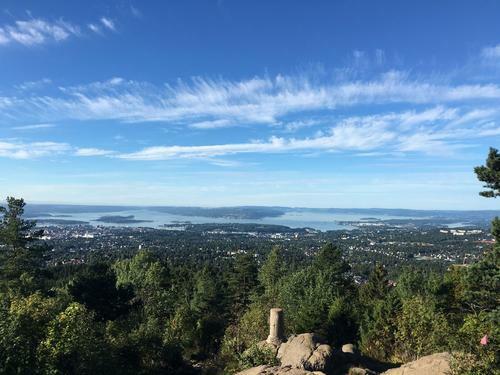 HIKE DESCRIPTION: Follow the fine coastal trail to Fiskvollbukta, with a view of Oslofjorden and Nesodden. From Fiskvollen you can take a bus, or you can hike back to Hvervenbukta. Good bathing and a cosy cafe. HIKE LENGTH: 1.5 km one way. HIKE DESCRIPTION: Follow the road to Østmarksetra. 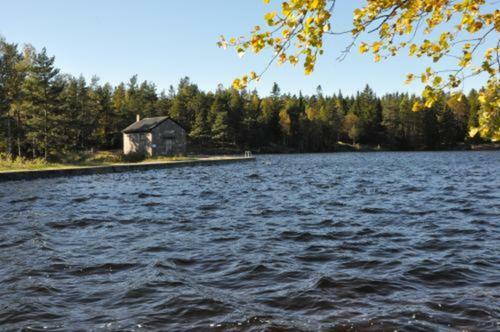 From there there’s a good trail around Nøklevann that goes past historical Sarabråten and several idyllic places. Take an enjoyable lunch break at Rustadsaga. HIKE LENGTH: About 8 k m around the whole lake. 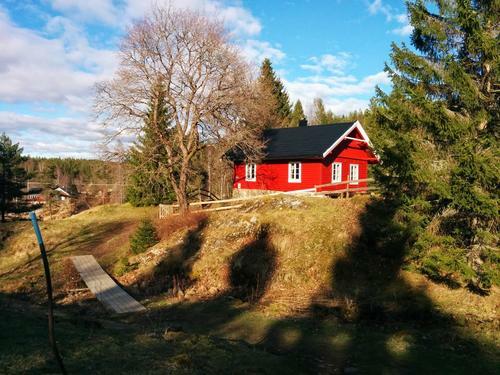 For a shorter hike, Finish at Rustadsaga and take the T-banen from Bogerud station (about 1 km). Find the hike on the map here. ACCESS: T-bane or bus to the Grorud metro station. HIKE DESCRIPTION: Follow Bergensveien about 1 km to the carpark at Badedammen. 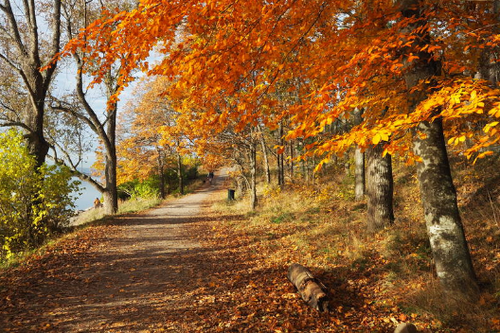 Follow the hiking trail past Badedammen in to Steinbruvann lake. There’s a good trail around the lake. HIKE LENGTH: 2 km round trip Badedammen. 2 km additional around Steinbruvann. HIKE DESCRIPTION: Follow the trail around the lake. You’ll most likely meet other hikers, joggers, people pushing prams and maybe some wheelchairs. 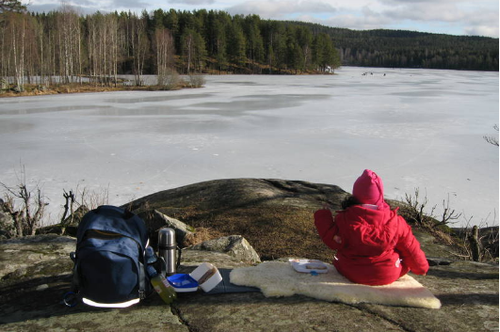 Sognsvann is a popular outdoor life area. ACCESS: T-banen to Vettakollen station. HIKE DESCRIPTION: Follow Huldreveien up from the station. Go to the right on Gulleråsveien, and then to the left on Bånntjernveien and follow it to the woods behind the buildings. From here there’s a well-marked trail to the top. Fine view! HIKE DESCRIPTION: Follow the trails and paths in the woods along the coast. The trails are waymarked kyststi (“coast trail”). If you go to Paradisbukta, you may enjoy the bathing there. Or maybe an icecream? HIKE LENGTH: About 1.2 km from Huk to Paradisbukta. ACCESS: T-bane to Røa station and from there by bus to Sørkedalen School. HIKE DESCRIPTION: Follow signs along the road until the start of the blue blazed trail. It’s steep at the start but more gradual thereafter. The view from and the café service at “DNT’s grand lodge in Nordmarka” are worth the effort. You may also follow the woodland road (toll road) in to the cabin. ALTERNATIVE STARTING POINTS: Sognsvann, Frognerseteren or Hammeren in Maridalen. 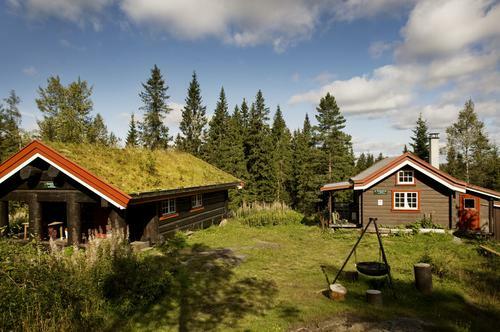 “Tømte Cabins” (large and small) are in Nordmarka and are well suited for a break without much travel. The cabins have 8 and 5 beds. ACCESS: Train to Movatn Station. HIKE DESCRIPTION: Follow the woodland road (toll road) toward Kikut/Bjørnholt. Go to the left after about 4 km, toward Tømte Gård. Just before Tømte Gård, go to the left on a blue blazed trail to Tømtehyttene (about 1 km). ALTERNATIVE STARTING POINTS: Snippen (train),Vaggestein and Skar (bus). 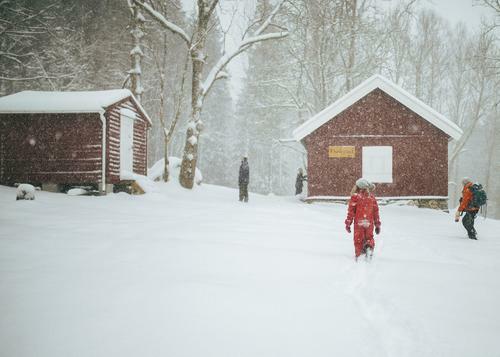 Dølerud is an old cabin that was refurbished and opened in 2015. It’s well suited for families with children and has 8 beds. ACCESS: Bus tol Godheim/Godlia on Enebakkveien (county road 155). HIKE DESCRIPTION: Follow the blue blazed trail in to the cabin. ALTERNATIVE STARTING POINTS: Grønmo carpark. 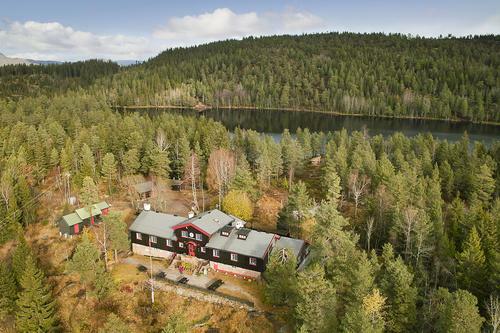 Øvresaga is an old cotter’s farm that is beautifully located in open meadows at Raudsjøen lake. The cabin had 8 beds and 3 canoes that overnight guests may borrow. HIKE DESCRIPTION: Follow the road to the carpark at Bysetermåsen and onward on the blue blazed trail to the cabin.